The Truth About Model Trains: What is model railroading? I joke that I have been a practicing modeler since I was two. One day, just before Christmas I decided that the operations on the christmas layout (not to be confused with the serious model railroad living in the basement) were not prototypical enough, and that it needed something. While my mother cooked dinner, and my father was at work, I took out my fisher price tools (the safe screwdriver was key here) and set to work. Somehow I pried up some spikes and removed some rail joiners and re-laid some track. Where these came from, and the other mechanics of how I did this are all lost to the intervening 23 years of time, but model I did, I assure you. My parents discovered my handiwork, and being suitably impressed (my father was a modeler himself, hence the layout in the basement) asked me what I had done. I informed them, very matter of factly that I had installed a passing siding. Now, while you may say that what I did was playing, I posit that this was my first true modeling experience. I performed three individual behaviors that I find myself repeating to this day. I observed reality. 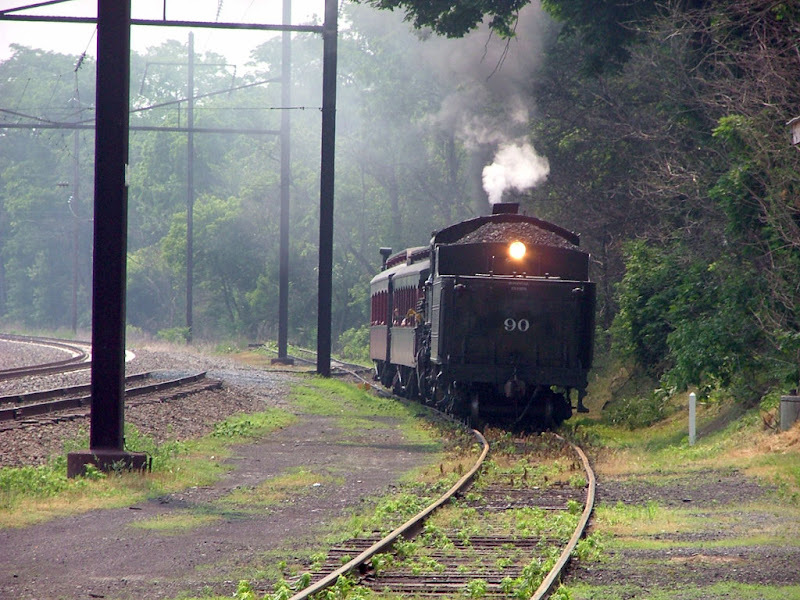 As a child (and even one of a scant two years old) my parents would make the pilgrimage to Strasburg PA's bastion of steam, Strasburg Railroad, what seemed like monthly during the summer. Arguably, this was my first real immersion in the world of prototype railroading, and I credit it for many of my later tastes. At Strasburg, I observed that real trains used passing sidings in their business of being railroads. I also observed that steam locomotives are loud, and that the headlight on their 2-10-0 #90 came from the pyle manufacturing company, and that it had a Sinclair style radio antenna on the cab. I also observed the color of the ballast, the color of the trees and the automobiles in the parking lot. I filtered the reality that I observed and identified traits which seemed important to me as elements representing the reality that I observed. This process began with my observations of reality. At that point I made conscious and unconscious decisions about what parts of the experience I wanted to remember and committed to memory. When I was two, I imagine the aspects of reality which I committed to memory were much more unconscious than conscious, but I believe that the majority of what we modelers absorb is done this way. I know that lately I've been consciously looking at and attempting to digest the patterns of vegetation near various rights of way (railroad, highway, etc) so that I can better understand them and then reproduce them, but most of my modeling is based on experiences and observations that I did not intentionally commit to memory, but I know are there whenever I see something that "looks right". This process of interpretation is not restricted to long term memory. It also comes into play when observing photographs (since there is always a selective impression, call it memory of what we see in a photograph, even if we almost immediately perform an action based on a photo). 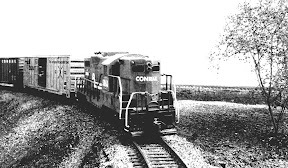 When I look at a photograph of a locomotive in a scene, I may see take away "they used that locomotive in that service at that time", while another modeler might notice the weathering pattern on the trucks, while yet another may note that the three radiator fan styles do not match and a final may observe "wow, that locomotive looks particularly handsome in that paint scheme". I believe that how we process our observations through the process of selective recall largely dictates our modeling tastes and pursuits, even if we don't consciously acknowledge it. When I was two and performing my first track-work, I couldn't tell you the manufacturer of the headlight adorning 90's smoke-box, but I could tell you it needed a passing siding to run around its train at each end of its run. I attempted to recreate the filtered reality in miniature. My reproduction of my observed reality was what lies, I believe, at the crux of what we all do in our modeling. We create our own interpreted versions of reality in miniature. Modelers do this in a vast array of ways. From very abstract versions of reality represented in many tinplate style layouts (that I have observed are not always O gauge, and since we do not seem to have agreed apon genre terminologies in model railroading, I use the term despite it's reference to a specific scale, guage and even manufacturer) to highly researched and intricately detailed layouts that are aim to represent a very specific prototype on a specific date. Our ability to recreate our filtered reliability rest in our skill levels in the various aspects of modeling, and the value we place on these aspects. 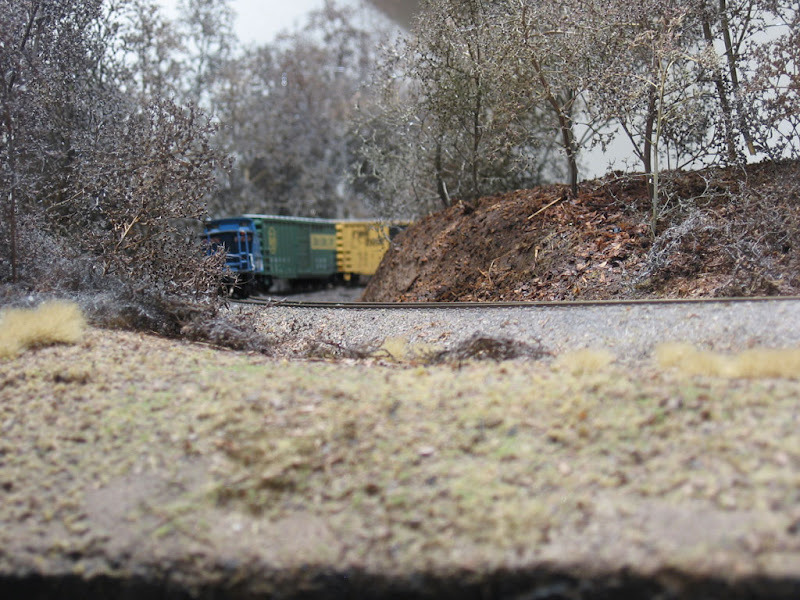 For example, modelers who are primarily focused on solving the often complex engineering problems posed by model railroading may not care that their ability to recreate a winter forest scene is lacking, but they may be very interested in advancing their skills with a soldering iron, and what advancing that skill means for how rewarding they find the hobby. Conversely, my lack of soldering ability does not hold me back from enjoying the hobby because I don't tackle complex soldering projects, instead I focus on an aspect I do find rewarding, such as scene building. Some other modelers do not seem intent on replicating the details of reality, instead relying on more symbolic representations of reality to replicate their interpreted version of reality. It may not matter to model railroaders of this persuasion that they are creating more a caricature of reality than a reproduction, they still derive their enjoyment from their attempts. In rebuilding my family's Christmas layout, I performed all three of these key modeling functions, and I whole heartedly believe that that was my first true model railroading experience. I also believe that the spectrum of modelers that exist fans out not from different realities which they observe, but the different ways in which they interpret them, and the different ways they attempt to create the versions of reality that they have constructed in miniature form. I also believe that much of the conflict that often arises on model railroad fora stems from the fact that we, as a community of hobbyists, have never really discussed and acknowledged these differences. Recognizing the differences in individuals modeling efforts as differences of approach as opposed to differences in value would be an step toward calming some of the animosity that often seems to manifest itself between "Tin platers" and "Deputized rivet counting members of the proto police". I hear you. I grew up in Baltimore, but my mom's family is in Ohio. As a kid, we made at least an annual trip out I-70 to the Turnpike. I was 11 when Chessie the Knife downgraded the WM mainline near Hancock, so I know there was at least 5 or 6 years worth of trips where we drove within 50 yards of those tracks when it was still a very active line. I have murky memories of seeing trains there, memories that I perhaps have embellished, but memories nonetheless. I recall seeing trains waiting on the siding at Tonoloway. I also remember later, after the downgrade, seeing freight cars stored there, coal hoppers, TOFC flats, and perhaps others. But those early and infrequent visions have a lot to do with my current modeling efforts. And the murkiness of them probably relates in some way to my pursuit of overall impression as opposed to a militant pursuit of detail.